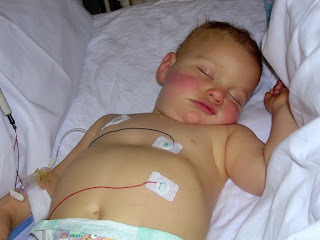 This is after they took the tubes out of Noah, he was breathing on his own at this point. He would cry himself to sleep because he was so tired, exhausted and probably in pain too. This is when it hurt the most for us--after he was aware of what was going on and we couldn't do anything about it.